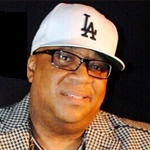 Mike Robinson aka Big Mike Rob, an executive with more than 20 years experience in the music industry. Big Mike Rob is committed to redefining Artist Development, and its conception came from Mike’s passion for music. Big Mike Rob specializes in Artist Management, Coaching & Consulting, Music Marketing (including Internet and Social Media Development), Music Supervision, and Talent Booking. Mike’s years of experience have afforded him a unique perspective on this ever-changing industry. As an Executive Talent Scout for Big Mike Rob has given independent artists opportunities to perform on great platforms such as, Blaze the Stage a National Brand, BET’s 106, Park, BET Experience, School tours and Major label showcases. As CEO, and Founder of UGMX Development Studio for more than 7 years, Mike was fortunate to have dealt with and connected to just about every conceivable segment of the industry. He has spent years building and nurturing an extensive and invaluable network of artists, artist managers, agents, publicists, label execs, producers, etc. Since forming BmikeroB Managemt in 2012, Mike continues to explore new horizons. He has managed artists and traveled around the world as a tour/road manager. He has immersed himself in the world of Web Marketing and Social Networking, helping to develop websites and marketing plans for several clients. BmikeroB Management is built on the belief that the future of the music industry begins and ends with one very important thing – artist development. The company is committed to helping artists further their careers and to help bring a rebirth to this once thriving music industry.